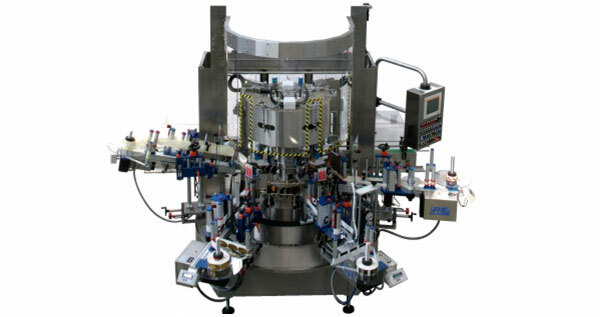 Fully-Auto In-Line Self-Adhesive Labeller is an automatically-operated in-line system which can be configured for the labeling of cylindrical, elliptical or rectangular products; moreover, they can suit specific requirements, such as the application of tamper-proof seals or labelling of special-shaped products. The Fully-Auto Rotary Self-Adhesive Labeller is designed for various applications at medium to high speed using self-adhesive labels in reel form. You can have up to six labels on the same container, according to the model. The labeller is suitable for cylindrical and shaped (square, oval, etc) containers. You can have combined labelling, i.e cold-glue and self-adhesive labelling, on the same machine. Production speed, according to the model, is up to 36,000 bottle/hr.